The earliest antithetical author to Christian heresy is Irenaeus. He was a bishop of Lyons and evangelized the Celts who lived in that region. He wrote Adversus haereses where he expounds the doctrines of the Gnostics and especially of the disciple of the Gnostics named Ptolemaeus who was a disciple of Valentinus. In the second part of the work he uses common sense to overthrow their doctrine. In the last three books he refutes them based on Scripture. 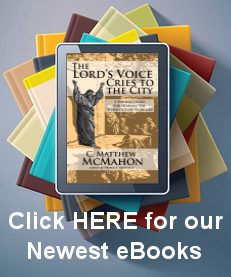 The Demonstration of Apostolic Preaching is another worked he penned. It is a catechistical work which was written to strengthen the faith of those that were already believers. In his Epideixis, yet another work, he starts with explaining the Creator and then pursues the history of salvation up to its final consummation. He refers to the doctrine of the Trinity quite often, but too briefly to allow theologians to really understand what he meant by the ideas surrounding that doctrine. He propounded the doctrine of creation, in which Adam and Eve and the Devil play central roles as described in Genesis. The fall occurred which brought sin and death into the world. But God does not abandon men because of sin. Instead he gives the Law. The Law is given by God as part of a plan to retrain sin. The Law’s ceremonial aspects are abrogated upon the coming of Christ, but fulfilled in their moral absolutes that never change. In this way Irenaeus stresses the continuity of the Old Testament and New Testament instead of the discontinuity. He rejects the teachings of those who attempt to establish a radical opposition between these testaments. Although God’s plan for the redemption of humankind was operating from the very beginning, its fullest expression is found in the recapitulation of all things in Christ. Recapitulation is a summary and culmination of what has happened before, and it can only be understood within the framework and context of those previous events. Before Dispensationalism has even marked the historical era in the 19th century, Irenaeus was already disemboweling it in the second century. The church, he says, can only fulfill its work as it is united to the body of Christ. For this reason it must keep and teach correct doctrine, and must preserve the unity of the body. Tertullian lived in Rome and after his conversion which took place at about forty, he returned to his homeland of Carthage in 150 A.D. There he produced writings in respect of his new faith against heretics who would write in opposition to it. One of his most important was his Apology. It was written against pagans in the style of a lawyers rebutting bad information. He also wrote To the Gentiles, The Testimony of the Soul, and To the Martyrs – all which were written before he converted to Montanism (which was a tragedy). Tertullian expounds the nature of the church in his Praesscripto, which deals with the nature of truth. The church, he says, has always made use of the Scriptures and is the only one who may rightly use them and interpret them. Heretics are excluded from every discussion, and only the orthodox and apostolic church has the right to determine what is Christian doctrine and what is not. Tertullian’s Montanism overthrows this right view, though. After he became a Montanist, he had to find a way to overthrow his previous argument now directed in the Praescritio against himself. He wrote Against Praxeas which is significant because in it he uses general phrases and terminology that would be used centuries later for formularies on Christology and Trinitarianism. He did not overthrow his previous arguments, but did establish some good Trinitarian points. One significant aspect of Tertullian’s Trinitarian doctrine is his insistence on the divine economy (oeconomia). God is one, but the divine persons are associated with each other based on their economy, or work. Just as there are in God three persons and only one substance, in Jesus Christ there are two substances (divinity and humanity) both of which belong to a single person. Tertullian, even in spite of his Montanism, coined some very orthodox ideas surrounding these truths. Clement and Origen were Platonist Christians. They borrowed heavily from Platonic ideas and incorporated those ideas in their discussion of Christianity. Clement of Alexandria is not relatively known. He seems to have been born in Athens, had pagan parents, and lived and was educated there until his conversion to Christianity. After the persecution that broke out there by Severus in 202 A.D. he left for Alexandria where he spent most of his remaining years. There are five documents that have still survived that were written by him. Of them the most important point he contributed was his idea surrounding the interrelation between Christianity and philosophy. Truth is one and comes from God. Philosophy can offer truth as it stands parallel with God’s truth and aids the Christian to think rightly. This does not mean that faith is not necessary to know truth. Ultimate truth is only known and believed as good by faith. First principles, though, are truths that are proved because the negation of them would be absurd. For example, to disprove logic one would have to use logic to do so. Clement was also a champion of the literal interpretation of the text as normative, though allegorical interpretation is not ruled out depending on context. Unfortunately, Clement also moves into a kind of Gnostic idea that, over and against the simple faith based on the Scriptures that Christians have, they can also reach a supreme faith that is found by a supreme knowledge. This knowledge comes mainly from a secret tradition that he repeatedly refers to, but never describes, or confirms. He is also a “pre-Pelagian” in that he denies that Adam’s sin is ever propagated to Adam’s children. As one sins, they become sinners. Though Clement has many good things to say, overall, his Platonism, his Gnosticism in secret knowledge and traditions, and his pre-Pelagianism place him in the camp of the worst heretics. Origen is another of the Alexandrian school that began as a contender for the truth, and said many good things, but ultimately wound up in the heretic’s camp. His father died as a martyr under Severus’ persecution. He stayed in Alexandria and studied under Clement, and later (at 18 years old) was given authority by Bishop Demetrius to teach the Christian faith as a Christian philosopher. Origen wrote so many books and papers that it would take pages and pages to simply list them. He was a student of the bible, and he thought of himself as an interpreter of the text. Of all his writings, then, the most important are the Hexepla (a book used to establish the original text of Scripture), the Scholia (a commentary on difficult texts of the Bible), the Homilies (exhortations on the Scriptures), and the Commentaries (those that demonstrate his exegetical methods). Origen was sometimes so literalistic in his interpretation, that it eventually caused him to deprive himself of his personal organs since Christ said to cut them off if they cause you to stumble. Oppositely, he is the king of allegorical interpretation. He placed “the mythology narrative” of the Genesis account on the level of an interesting story that simply symbolized something greater. He did believe that the Father, Son and Spirit were three and one, but the exact meaning behind that is different than the Christian formularies. But where the Father is “unity” with the Son is “multiplicity” meaning He can relate to the world where the Father cannot. This made Origen press the Son into an inferior role to the Father, and also brings this same tension to the procession of the Holy Spirit from the Father and the Son, thus falling into a subordinistic interpretation of the Trinity and the work of the Trinity.